Pareto chart where it can be seen the impact of the two first causes. 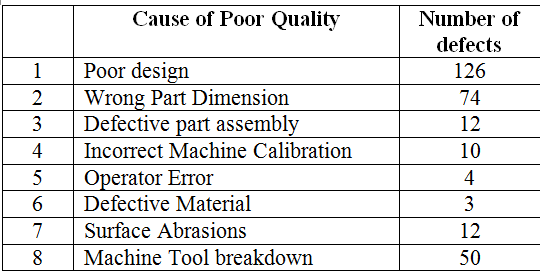 Poor design and wrong part dimension are 2 of the 8 causes (20%) of obtaining poor quality. These 2 causes together are generating 68.73% of the total number of defects. 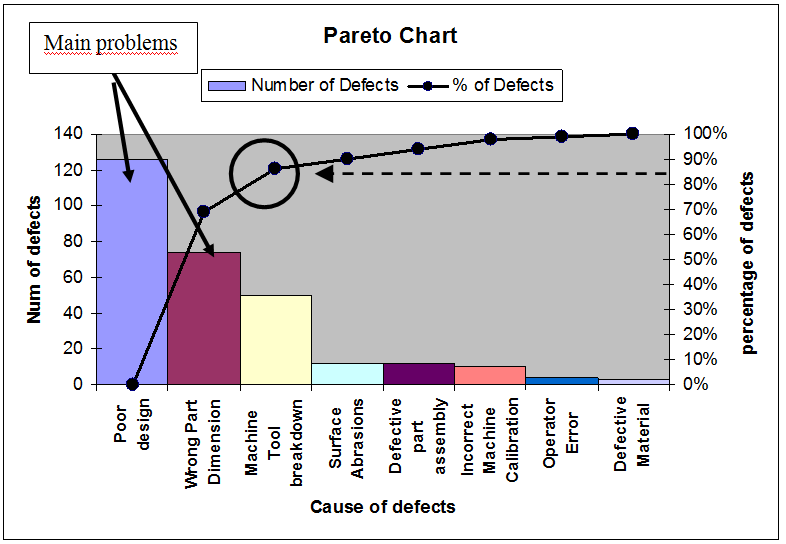 Thanks to the Pareto Chart, the main defect sources can be identified, and, efforts should be focus on improving this poor design and giving correct dimension to the parts. Very probably these causes are extremely connected with other defect causes as defective part assembly or surface abrasions. So, an improvement process reducing the impact of the 2 main causes will lead to an improvement and consequent defect reduction in some other secondary causes. In a meeting with the people in charge, the relation between these causes could be found out and discussed.